Data visualization using GIS and UAV mapping provides a high degree of certainty in understanding site conditions. 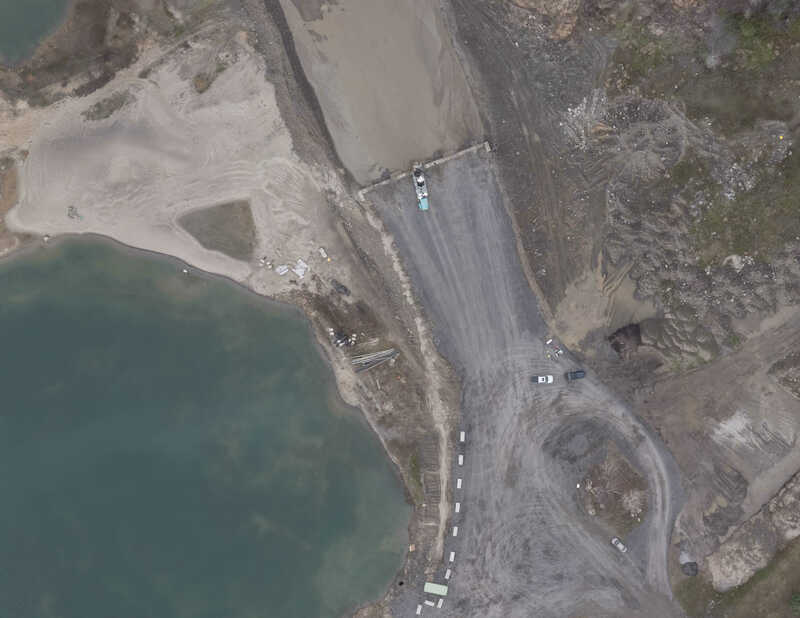 Site imaging is accomplished with an unmanned flyover of the site used to generate high resolution (5cm/pixel), full colour imagery. This becomes the foundation for adding in data points like boreholes, monitoring wells, or site features. More importantly, detailed information including chemical analysis from sites can be overlayed on these aerial surveys. Picture a heat map showing the highest concentration of a contaminant on a site. This makes real-time site information easily utilized during an investigation or remediation.